I beat the hell out of both sides and crushed bottom up against exhaust. I just ordered an Enduro Guardian. 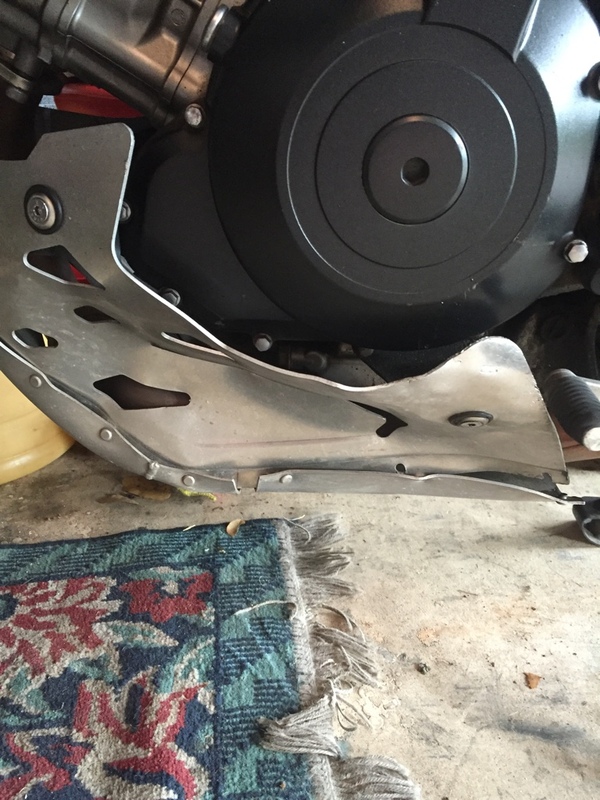 Proper skid plate with a lifetime warranty. I'm happy with Givi Crash bars and OEM center stand though. Plus, as you can see, it uses rivets that snap the first time you make contact. Just fortunate that I didn't punch a hole in my crank case. 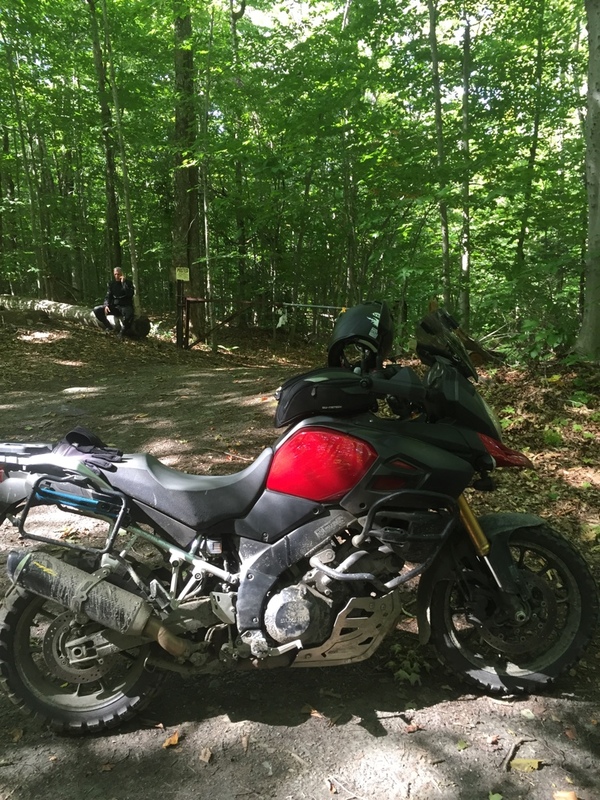 My off-road consists of groomed gravel roads and fire roads that are dirt/rock combo but in pretty good shape. Other folks are often with me with less capable bikes. If I did true off-road like that I would have a dirt bike again. I just want to prevent thrown rocks from puncturing the oil filter and chipping the finish mainly. 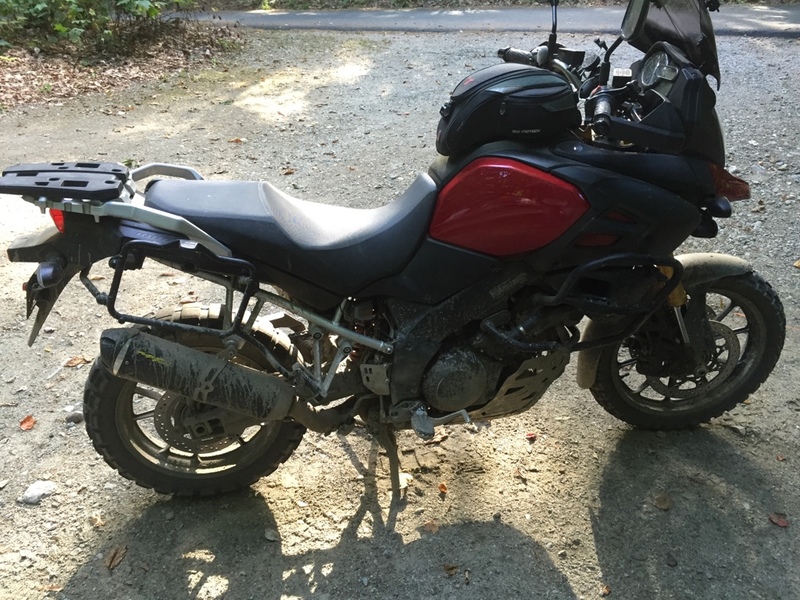 My Weld86 skid on my 650 is just dirty on the bottom (maybe a few minor rock nicks) with 11,000 miles and maybe 600-700 miles are unpaved roads. I would say no to nylon and the Weld86 looks maybe twice as thick as that but I like the light weight. My plan is to not have the skid plate come into contact with jagged rock. Any noise reflection like the Weld86's have? What is the clearance from the lowest Givi skid point to the ground on pavement? Last edited by SECoda; 10-11-2016 at 04:41 PM. 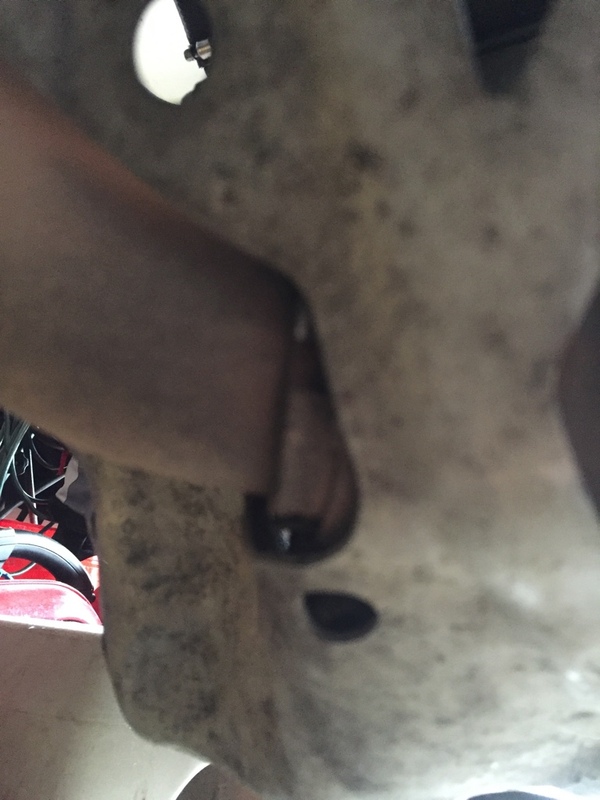 The Givi skid plate attaches to your engine casing doesn't it, that can't be good. My happy trail plate had a workout on my last two rides, on one I got hung up on a log on top of it and had to be pushed off. On the way back I went over it at speed and slid across it and clear with no issues. Yesterday I was doing a mountain climb with large rocks, deep ruts and potholes etc, and my skidplate was hitting all over the place. Lots of scratches on it now, but the bike is fine. 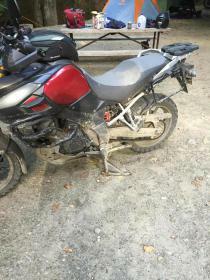 It mounts at the back to the center stand bolts, and the front attaches to my Givi bars, so nothing touches the engine. it is also a very solid plate. Can you post a picture? Thanks! Do you have a centerstand with it on those trails? I wonder what centerstand(s) work with it? It looks like they support highway pegs? I wonder if the other skids do? It looks like you need a mount kit to which kicks up the price a bit. Last edited by SECoda; 10-11-2016 at 04:51 PM. This is the Happy Trails plate. I have the OEM center stand, I liked it because it has that reinforcement bar. I had a stand without that bar on my last bike and it ended up bending.